Based on a work at https://www.heighpubs.org. Copyright: © 2017 Liew BS, et al. This is an open access article distributed under the Creative Commons Attribution License, which permits unrestricted use, distribution, and reproduction in any medium, provided the original work is properly cited. A previously healthy 26-year-old gentleman, referred from a state hospital with history of alleged fall from 10 feet height at a construction site on the same day. Glasgow coma scale (GCS) at that hospital was E2 V2 M5. He was brought in to our Emergency Unit, Hospital Kuala Lumpur with GCS of E1 V2 M4 (7/15). Pupils were 5mm+ /3mm+. He sustained left ear bleed. Otherwise vital signs were stable, with no other extracranial injury. 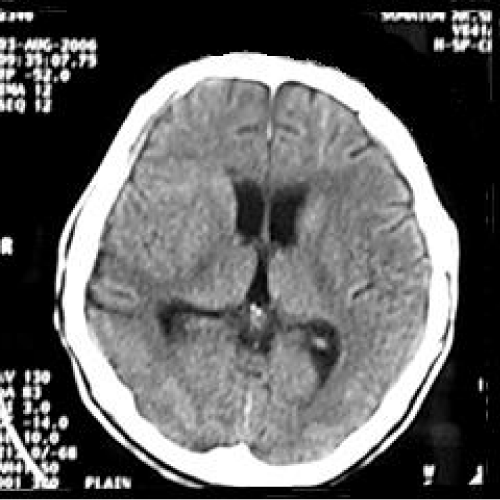 Computed tomography (CT) scan brain (Figure 1) showed right frontotemporal acute subdural hematoma with left frontotemporoparietal acute subdural hematoma, with underlying subarachnoid hemorrhage, mass effect and midline shift to left side more than 0.5cm and obliteration of basal cistern. 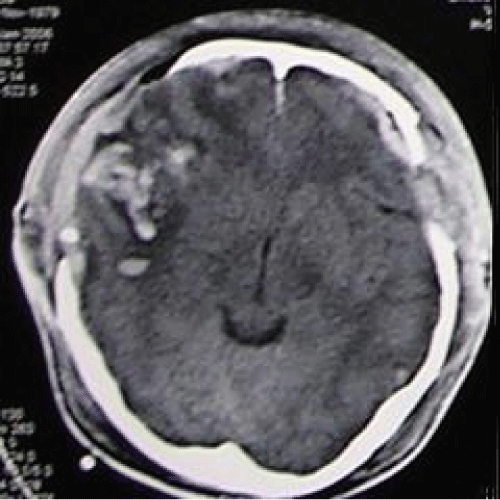 Figure 1: Computed tomography (CT) scan brain (axial view) showing right frontotemporal acute subdural hematoma with left frontotemporoparietal acute subdural hematoma. He underwent bilateral craniectomy with evacuation of clot. Post-operatively he was cerebral protected. A repeat CT scan brain (Figure 2) was done showed residual contusion over right temporal lobe with patent basal cistern. His condition was complicated with ventilator associated pneumonia, and was treated with IV Fortum and Cefepime. His condition was generally improved. During his first follow-up at the neurosurgical clinic 6 weeks post trauma, he was noted to be fully conscious with full GCS, no symptoms to suggest raised intracranial pressure such as headache, nausea, vomiting. No history of fits. However, physical examination revealed bilateral sunken scalp over both craniectomy sites. He was given an appointment for cranioplasty in 3 months. A month later following the clinic visit, he was brought to the neurosurgical clinic by his wife with complaint of worsening clinical state. He used to be able to talk rationally, alert and independent after upon discharge from the hospital. However recently he became somnolence. No history of recent fall, fits, cranial wound infection, ENT discharge, fever or any signs suggestive of infection. Clinically he looked well hydrated, conscious but confused, GCS was E4 V4 M6. The skull defect noted to be still sunken bilaterally. No long tract sign. He was allowed home with the same appointment date for cranioplasty. Four months post-trauma, he was brought to the emergency unit with history of deteriorating conscious level, unable to ambulate and poor oral intake. Clinically he was noted to be mild dehydrated. His GCS was E4 V1 M5. 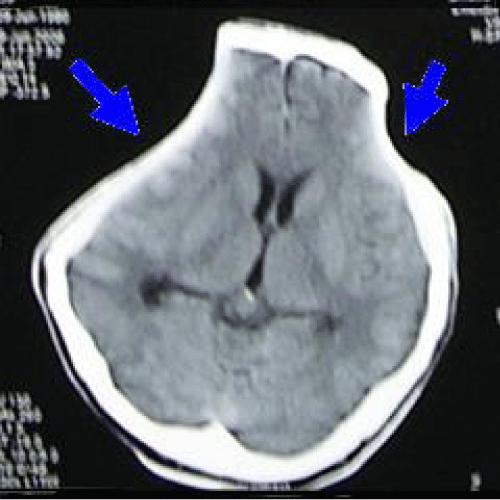 CT scan brain (Figure 3) was done, which showed sinking skin flap bilaterally with compression over cerebral hemispheres bilaterally with effacement of sulci and gyri (marked by two arrows) but no obvious midline-shift, with encephalomalacia changes over right frontotemporal lobe due to previous contusion. Otherwise basal cistern was patent. The blood investigations revealed normal electrolytes, blood glucose level and normal hemoglobin. Arterial blood gas was normal with normal blood pressure and regular heart rate. There was no significant change from the blood investigations taken prior to previous ward discharge. Hence, cerebral hypoperfusion secondary to extracranial causes such as hypotension was ruled out. Figure 2: Computed tomography (CT) scan brain (axial view) showing residual contusion over right temporal lobe with patent basal cistern. Figure 3: Computed tomography (CT) scan brain (axial view) showing sinking skin flap bilaterally with compression over cerebral hemispheres bilaterally with effacement of sulci and gyri (marked by two arrows). He was then admitted and bilateral cranioplasty was performed on day four of admission and he was subsequently discharged home few days after the surgery with no complication. On follow-up one month after the surgery, his clinical condition remained same, and a CT scan brain was ordered. The CT scan brain showed minimal subdural collection over right cerebral hemisphere, however brain expanded with no sign of compression, sulci and gyri were well seen, basal cistern was patent. Three months later following cranioplasty, he has becoming more alert, independent and with coherent speech. Mini mental test was also carried out on him and he scored 29/30. Another repeat CT scan brain (Figure 4) was performed on 5 months post cranioplasty which showed no extraaxial collection, no enchancing lesion, and no midline-shift, with encephalomalacia over right temporoparietal area. The sulci and gyri are well-visualised without any effacement. Figure 4: Computed tomography (CT) scan brain (axial view) showing no extraaxial collection, no enchancing lesion, no midline-shift, with encephalomalacia over right temporoparietal area. The sulci and gyri are well-visualised without any effacement. Cranioplasty is defined as the repair of a defect or deformity of the cranium. The most common example of this is the replacement of a bone flap at the end of a craniotomy . The most notable example of ancient cranioplasty is a Peruvian skull from 2000 BC, has a left frontal defect, which was covered with a 1-mm-thick plate of gold (Figure 5). Figure 5: Peruvian skull from 2000 BC, has a left frontal defect, which was covered with a 1-mm-thick plate of gold. Fallopius (1523-1562) writing about cranial fractures, advised that the bone could be replaced if the dura was not violated; if the dura was violated, he thought that the bone should be removed and a gold plate inserted. This is perhaps the first recorded description of a true cranioplasty. 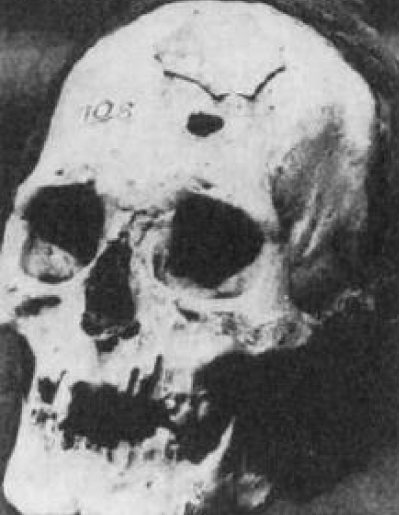 The first successful bone graft cranioplasty was reported in 1668 by Job Janszoon van Meekeren, a surgeon in Amsterdam. For centuries, cranioplasty has relied on the process of osteoconduction. In this process, the bone graft provides the three-dimensional structure to allow surrounding osteoprogenitor cells to enter and obtain residence. Osteoconduction is the underlying principle in all autografts and allografts. Osteoconduction requires a bony and protein matrix, and partial destruction of this matrix in frozen or autoclaved bone flaps explains their higher resorption rate . Osteoinduction is the process by which undifferentiated mesenchymal cells can be transformed into osteoprogenitor cells. In osteoinduction, osteoprogenitor cells do not have to migrate in from the surrounding tissue as in osteoconduction; rather, they are produced in situ. There is excellent evidence that osteoinduction is mediated by bone morphogenetic proteins. In the past, cranioplasty was performed to repair bone defects for cosmetic and protective reasons [2,3]. Different synthetic and biological materials can be used for cranioplasty to obtain the proper cosmetic results. Titanium plates are used to cover burr-holes, while hydroxyapatite or methylmethacrylate are used for defects larger than 6 cm . As defects approach sizes larger than 9 cm2, it is unclear whether the benefits of cranioplasty are solely cosmetic . A controversial indication for cranioplasty is in the prevention of postoperative epilepsy. However, recent studies show that cranioplasty does not alter the frequency or incidence of postoperative epilepsy . There have been few reported cases where cranioplasty has had a therapeutic effect on neurological and cognitive recovery, including the patient illustrated in our report. All reported patients with skull defect post-craniectomy developed varies symptoms such as altered consciousness [2,4,5] headache [2,4,6], hemiparesis [2,4,7], dizziness [4,6], fatigability [4,6], vague discomfort at the site of defect , behavioral abnormalities[2,4], seizures [2,6], mental depression [4,6], poor memory , intolerance to vibration [4,6] and akinetic mutism . In all of them, computed tomography (CT) scan brain shows a sunken scalp at the site of bone defect with compression of the underlying brain. A diagnosis of syndrome of the trephined or “sinking skin flap syndrome were considered in them, and all of them improved after cranioplasty. In 1977 Yamura and Makino coined the term “syndrome of the sunken skin flap” to describe the neurological symptoms due to a craniectomy defect, and early cranioplasty has been recommended to prevent these phenomena. Sinking skin flap syndrome is defined as a series of neurologic symptoms with the skin depression at the site of cranial defect, which develop several weeks to months after large external cerebral decompression . Various factors like stretching of the dura and underlying cortex due to the atmospheric pressure, changes occurring between the cortex, dura and the skin exerting pressure on the skull contents, and impairment of the venous return due to the atmospheric pressure acting on the region of skull defect with a resultant increase in the local external pressure have been implicated in the pathophysiology of the “syndrome of the trephined” [3,4]. The pathological mechanism in our case was probably due to the compression of the brain by the atmospheric pressure following the external decompression. The change in CSF hydrodynamics with an improved clinical picture in patients with skull defects could be explained by the stretching or a distortion of the dura and the underlying cerebral cortex due to the atmospheric pressure with possible shifting of the intracranial contents. This is supported by the fact that the patients who benefited most from cranioplasty were those in whom there were large defects near the dural sinuses with concave deformity of the skin flap that allowed transmission of the atmospheric pressure directly to the cerebral cortex. Cerebral hemodynamic is compromised in the presence of a cranial defect by the following mechanisms. The subarachanoid space is obliterated over the cortex in that area by scarring of the pseudodura or reapproximated dura, thus compromising any vessel on the cortex that extends into the subarachanoid space. The venous return is especially susceptible to this damage . There appears to be an increase in the local intracranial pressure (ICP) in the area adjacent to the cranial defect . After cranioplasty, patients had a return of their ICPs to normal. Post-craniectomy allows transmission of atmospheric pressure through the skin flap onto the intracranial contents. Cranial defects that compromise the sagittal sinus caused by scarring and pressure not only compromise venous return but also the absorption of cerebrospinal fluid contributing to increase ICP. The neurological deficits in large concave deformities appear to respond best to cranioplasty . Such cranial defects should therefore be repaired as early as possible . Another theory of the mechanism of neurological improvement after cranioplasty is because of correction of abnormal cerebrospinal fluid dynamics that causes a midline shift of intracranial structures in the presence of a skull defect. This phenomenon is sometimes referred to as the siphon effect. The exact mechanism of this is still unclear but also seems to be related to the distortion of the dura and underlying cortex, sinuses, and subarachanoid space by scarring and direct pressure. A less likely cause of the deficit in this case is epilepsia partialis continuans. Prolonged improvement in neurological and mental disorders has been seen after only cranioplasty in patients initially treated with external decompression for high intracranial pressure . In an attempt to understand the improvement in neurological status, information was gathered concerning the changes in intracranial hemodynamics . The clinical symptoms before and after cranioplasty can be corroborated with qualitative changes observed in cerebrospinal fluid (CSF) flow using cine phase-contrast MRI. The onset of symptoms may be attributed to the effects of barometric pressure or misery perfusion seen before cranioplasty . In order to explore the hemodynamic involved, the cerebral blood flow (CBF) was derived using xenon-enhanced CT scans. Regional measurements in CBF were derived before and after cranioplasty to quantify the changes under both circumstances. The results show a striking increase in CBF after bone defect repair [2,6,8,9]. Although the mechanism of neurological improvement is unclear, an increase in CBF strongly suggests a therapeutic indication for cranioplasty . Cognitive improvement correlated the CBF and oxygen saturation changes observed . Increase in CSF and superior sagittal sinus pressure, cerebral expansion, increase in CSF motion after cranioplasty due to an increase in cerebral arterial pulsations and improvement in cerebral blood flow, cerebral metabolism and cerebral vascular reserve capacity have been demonstrated after cranioplasty [4,5]. Cranioplasty improved preoperative differences in middle cerebral artery (MCA) blood flow velocities when comparing the injured with the non-injured hemisphere . The cerebrovascular reserve capacity (CVR), which was severely impaired in both hemispheres, significantly increased after cranioplasty . The pH of brain tissue was unchanged bilaterally after cranioplasty . The implications of a comprehensive neurocognitive analysis of patients undergoing cranioplasty have been underscored. Neurocognitive analysis plays a crucial role in the determination of long-term prognosis. The cognitive improvement observed in those patients after cranioplasty. A better assessment of those situations will improve the prognosis of the patients, as well as their mental capacities to perform daily activities . For the sinking skin flap syndrome cases, cranioplasty is not only useful for cerebral protection and improvement of appearance, but cranioplasty is also useful for improving neurologic symptoms, overall functional and cognitive improvement [5,6]. Metabolic deficits, which were observed in the injured as compared with the non-injured hemisphere, were found to improve after reimplantation of the skull bone flap . The improvement of the glucose metabolism demonstrated in the injured hemisphere after cranioplasty was a good predictive value for a patient’s clinical outcome . The increase of glucose metabolism not only correlates with the restitution of CBF but is a good predictive value for clinical outcome after cranioplasty. Cranioplasty resulted in a significantly increased uptake of 18-fluorodeoxyglucose (18-FDG) in both hemispheres indicating globally enhanced metabolism in the brain . Although the location of the lesion is more important than the volume of disrupted tissue for predicting the consequences of a brain injury, patients in whom an increasing cerebral metabolism is shown after cranioplasty, also experience improvement of their clinical symptoms . Patients became cooperative, without distress, and quite communicable after undergoing cranioplasty. After cranioplasty also, patients develop significant improvement in motor function . This was accompanied by a progressive improvement of clinical neurological deficits . 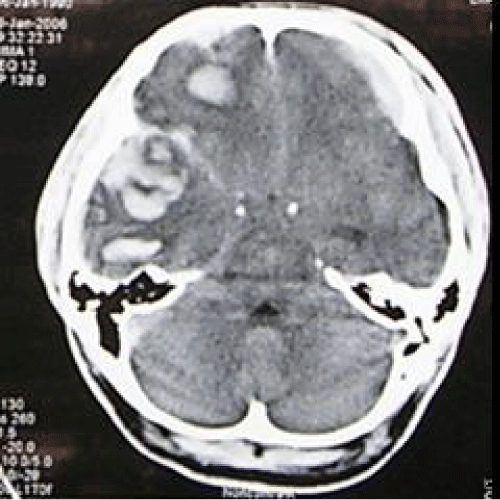 Complications following craniectomy included abscess/infections, epidural hematomas, subdural hematomas, and contusions. The rate of infection with freezer-stored autograft cranioplasty plates was significantly higher than with mature bone defects reconstructed with cranioplastic or fresh autografts . Dramatic neurological improvement can be seen following cranioplasty and therefore we recommend this procedure for all patients who survive their initial injury regardless of neurological status. Till to date, there were no diagnostic criteria for sinking flap syndrome. One need to suspect sinking flap syndrome in a patient with large decompressive craniectomy who suffers from deteriorating neurological symptoms include motor, cognitive, and language deficits with brain imaging showing sunken skin flap with effacement of sulci and gyri of the underlying brain parencymal. Not only were good cranial contour reconstructed and aesthetically satisfactory results obtained in the cases treated by incorporating this series of techniques, but neurologic conditions present in some cases were also improved to some extent. Cranioplasty appears to affect postural blood flow regulation, CVR capacity, and cerebral glucose metabolism markedly. Thus, early cranioplasty is warranted to facilitate rehabilitation in patients after decompressive craniectomy. Therefore, this surgical procedure not only restores cerebral protection and ensures cosmetic repair but also is associated with partial functional recovery of reversibly damaged cortical and subcortical structures of the primarily affected as well as the non-affected hemispheres with marked improvement of metabolic activity. Large concave skull defects may offer the best potential for improvement. Celso Agner M, Manuel Dujovny, Moises Gaviria. Cognitive changes after cranioplasty. Neurosurg Focus. 1994. Larry V Carson M, David M. Pryputniewicz. Postoperative Infections in Patients with Cranioplasties Neurosurg Focus. 2005.